You won't have to root against Nick Foles unless the Eagles face the Jaguars in the Super Bowl. INDIANAPOLIS — The only Eagles quarterback to ever win a Super Bowl is bound for Jacksonville when NFL free agency opens March 13, according to NFL sources with knowledge of the situation. Jacksonville has been widely speculated as the most likely landing spot, but it was still possible to make cases for other hypothetical suitors, such as the New York Giants. When Giants general manager Dave Gettleman and head coach Pat Shurmur spoke with reporters at the NFL Scouting Combine, Shurmur was much more emphatic than Gettleman about continuing 38-year-old Eli Manning’s tenure as the team’s starter. But it seemed Gettleman was talking about possibly bringing in veteran competition for Manning while the Giants develop the quarterback they are expected to draft sixth overall next month. That would not be a situation for Foles. Washington and Miami also seem to have other quarterbacking plans. Denver traded for Baltimore’s Joe Flacco. A source close to the situation called Foles, 30, “a perfect fit” for the Jaguars. They aren’t in a long-term rebuild situation — they came very close to facing the Eagles in Super Bowl LII, blowing a 20-10 fourth-quarter lead over the Patriots in the AFC Championship Game, but they slid to 5-11 last season, after a 3-1 start. The Jags are expected to move on from quarterback Blake Bortles, the third overall pick in the 2014 draft. Nick Foles' former quarterbacks coach, John DeFilippo, is the new offensive coordinator in Jacksonville. Coaches who have worked with Foles during a seven-year career that has whipsawed between brilliance and futility say he needs a few things in order to succeed — a strong, supportive coaching environment and a solid offensive line that will keep him clean in the pocket. Jacksonville has the first element, the Jags having hired as their offensive coordinator John DeFilippo, who was Foles’ quarterbacks coach for the Eagles’ Super Bowl run. The second part might be trickier: Though all sacks are not automatically the fault of any offensive line, the Jags did give up 53 of them last season, leaving them tied for third-worst in the NFL. Their team passer rating of 79.1 ranked 28th. The Eagles gave up 40 sacks last season, 31 of them taken by Carson Wentz, who suffered a stress fracture in his back that made Foles the late-season and playoff starter for the second season in a row. 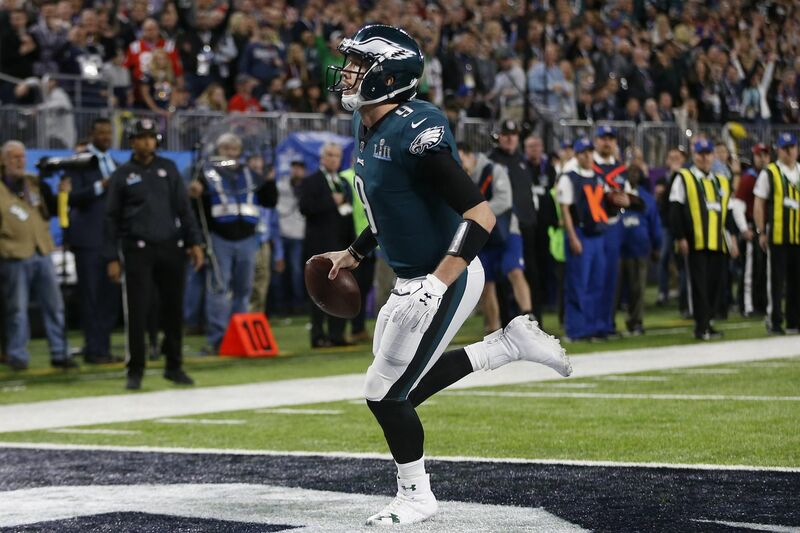 Foles, the Super Bowl LII MVP a little more than a year ago, led the Eagles to three successive victories this past season after Wentz went down, then led them past the Chicago Bears in the first round of the playoffs before their season ended with a second-round loss at New Orleans. The Eagles, who defeated Jacksonville in London last season, are not scheduled to play the Jaguars in 2019, so unless they meet in the Super Bowl, Eagles fans will be spared having to root against an all-time franchise hero.